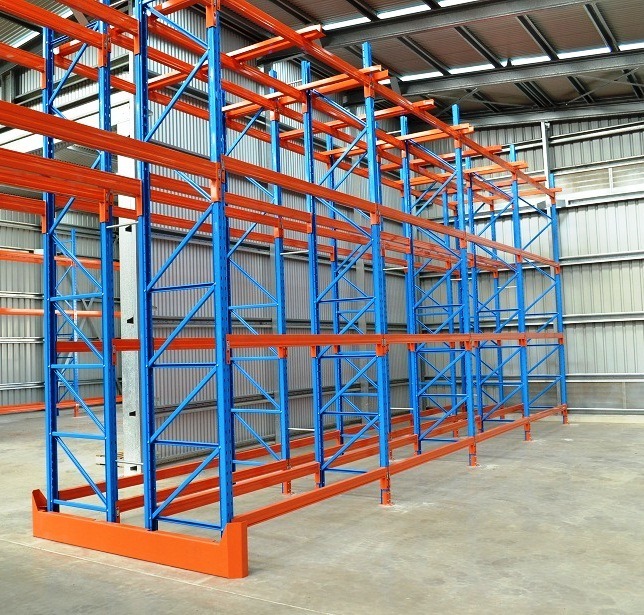 Selective pallet racking is the most common type of pallet racking. As all pallet locations are directly accessible, it is the ideal pallet racking system to use for general purpose pallet storage where pallet access, flexibility and picking speeds are important. Pallet racking beam heights are easily adjustable – selective pallet racking can be reconfigured to store different pallet heights as required. Selective pallet racking can be used with all types of forklift. Standard counter-balance forklifts and reach trucks are the most common. 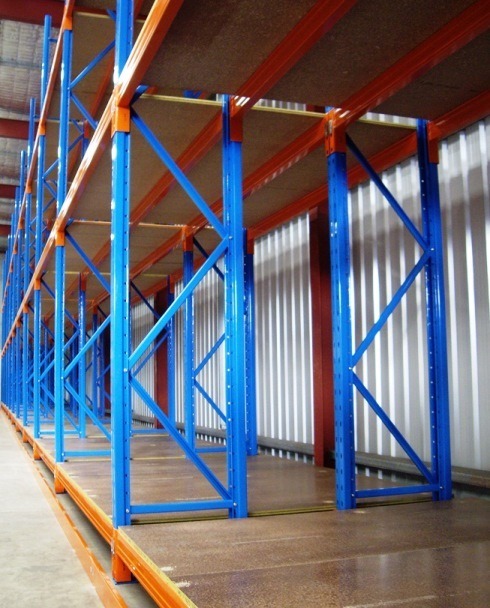 To request a free selective pallet racking quote in Adelaide, please contact us today. 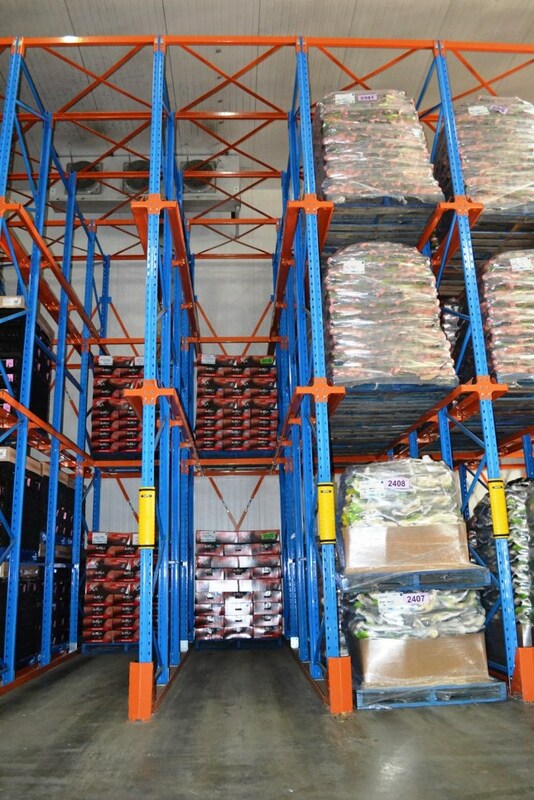 Double-deep pallet racking allows goods to be stacked two pallets deep. A specialized “double-deep” forklift is required to access the rear pallets. Double deep pallet racking reduces the number of forklift aisles required – hence increasing the pallet storage capacity. In each pallet location, the front pallet must be removed in order to access the rear pallet location. This is not ideal where all pallets must be visible and accessible, but it can be an effective storage system where multiple pallets of the same product are stored. At any time, at least 50% of the pallets stored are accessible. Double-deep pallet racking is a good compromise between selective pallet racking and high density pallet storage systems such as drive-in pallet racking. 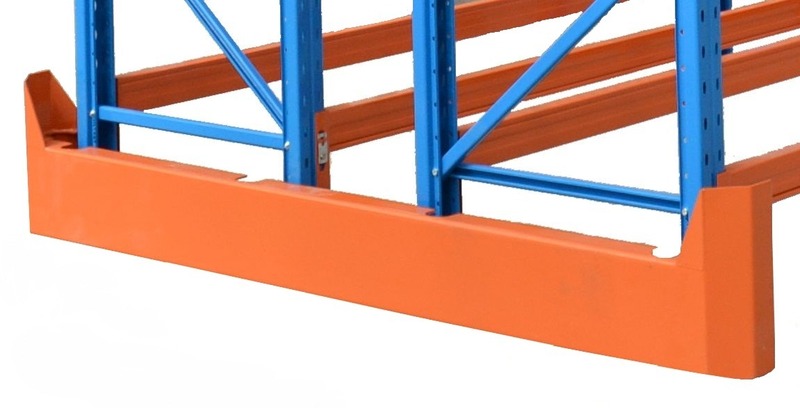 At heights of over 4m, guide rails are typically fitted to assist with locating and positioning pallets within the double-deep rack. 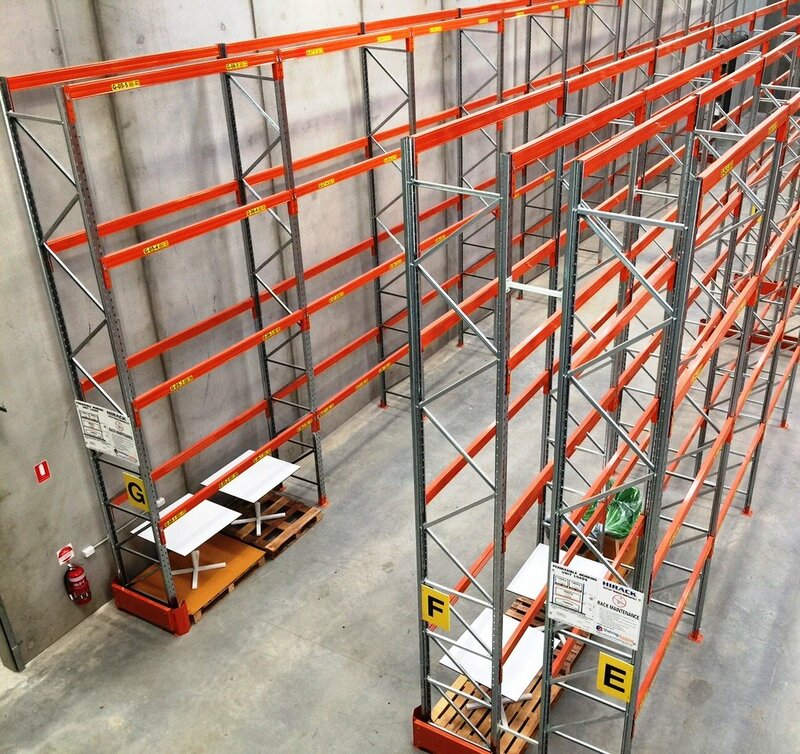 To request a free quote on double deep pallet racking in Adelaide, please get in touch to discuss your requirements. Drive-in pallet racking is a high density pallet storage solution best suited to applications where there are a large number of homogenous pallets to be stored. Pallets are stored in lanes on a LIFO (last in, first out) basis. Rear pallets cannot be accessed without unloading all the pallets in front of them. Drive-in racking is typically designed and specified to order. Please contact us to discuss your pallet racking requirements and we can provide you with a specification to suit. Pallet racking can be adapted for other non-pallet storage solutions. Please contact us to discuss your requirements or to obtain a free custom pallet racking quote in Adelaide, get in touch. It makes sense to protect your pallet racking. 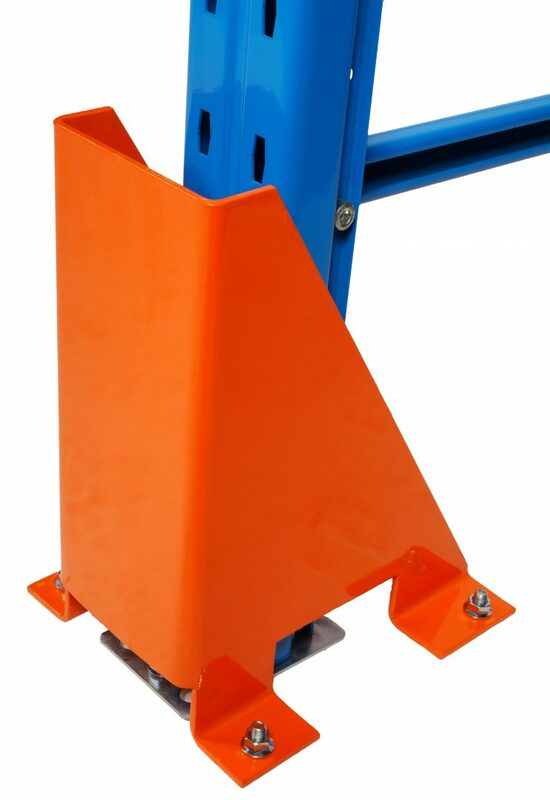 Forklift impact damage can cause racking to fail or product to fall. This could cause injury to employees, damage your racking or stock, and cause serious downtime to your business. At a minimum, corner uprights must be protected at the end of each row or when exposed to a cross aisle or gangway intersection. Intermediate uprights can also be protected where there is a high risk of damage – for example, in fast moving environments with high pallet turn over. 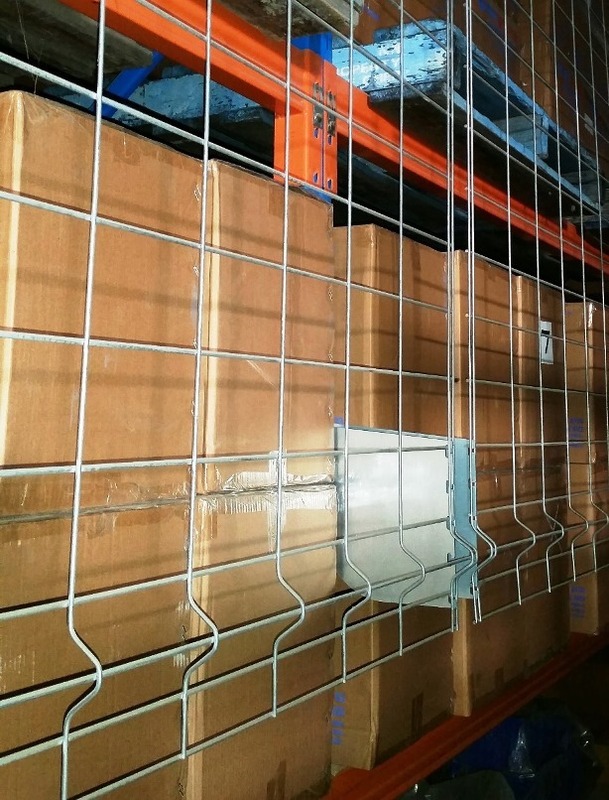 Mesh backing can be fitted to your pallet racking to reduce the risk of stock falling into pedestrian areas. 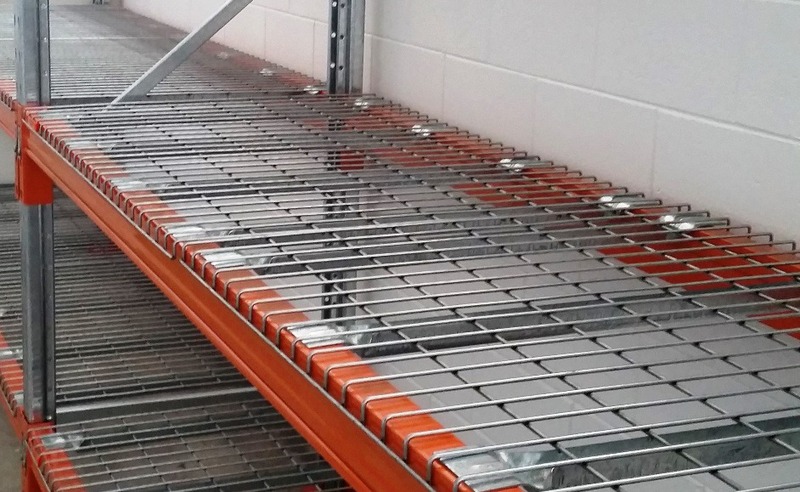 MonkeyMESH™ is a modular mesh backing system that can be fitted to new or existing pallet racking installations. Being a modular design, it is quick and easy to install. 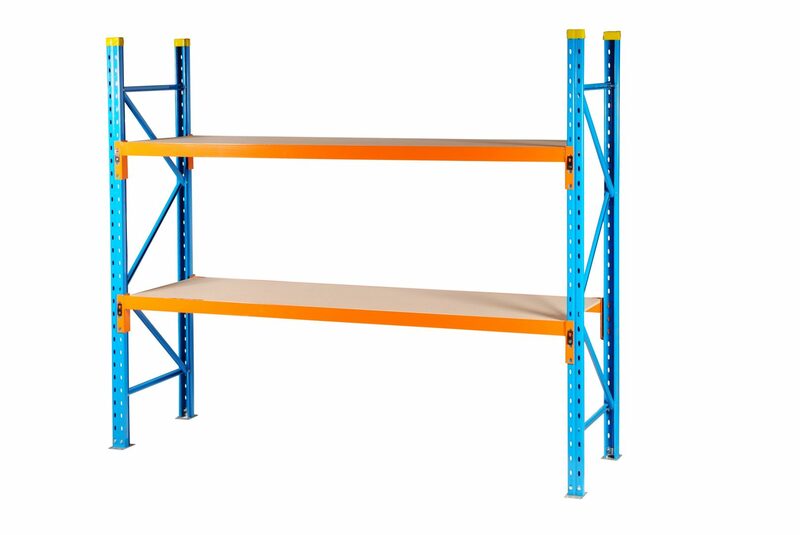 We have a range of shelving accessories available to suit pallet racking. These can be used to make hand loaded storage levels in a pallet racking installation or to make free standing heavy duty shelving bays.